Owning a home is not in a walk in the park. Actually, being a homeowner can be downright daunting. Why? Well, things constantly break and need either fixing or replacing. Not to mention, there is normal upkeep, such as mowing the lawn, gardening, and for some folks, shoveling snow too. This is why I am such a fan of the smart home. Anything I can do to get a little help is appreciated. Things like smart lights and thermostats not only make my life easier, but they can save me money too. 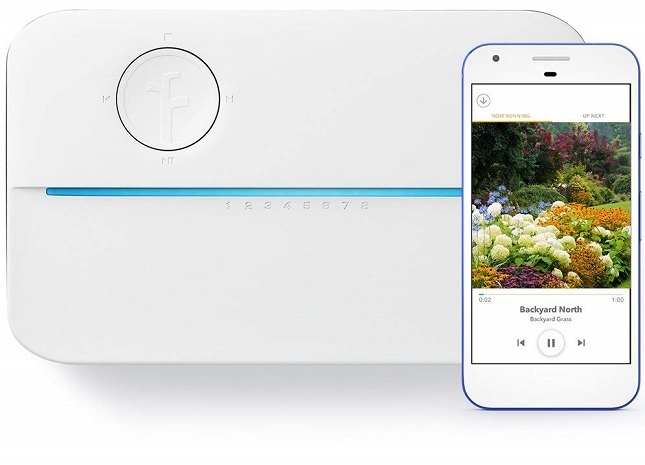 Recently, I have been testing the 3rd generation smart sprinkler controller from Rachio and I came away with a very definitive opinion of it. ALSO READ: Wemo Mini Smart Plug now compatible with Apple HomeKit -- no bridge needed! My previous sprinkler controller was installed before I lived in the house, so I had no part in selecting it. While it has a digital screen, it is not at all smart. In fact, I find it too be very dumb. The interface is not intuitive at all -- insanely clunky and confusing -- knobs and such. Since it is installed where my house meets my deck, I need to lay on the floor to use it -- very uncomfortable. The Rachio would solve two of my issues -- a better interface, plus, I can control it without laying on the hard floor. 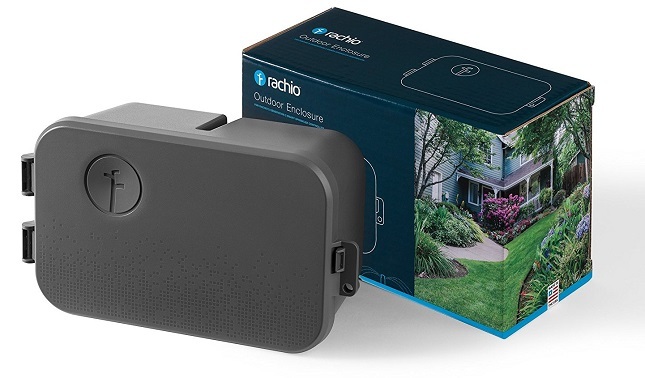 Since the wiring is outside, I would also need the Rachio outdoor enclosure box, which protects it from the elements. It is a solidly built box that can be locked with a padlock if you want. If your house has the sprinkler controller indoors, the enclosure is not needed. Thankfully, I have an outdoor AC outlet with a protective cover directly next to the sprinkler controller. This means I wouldn’t need to fiddle with wiring or turn off the power from the circuit breaker. I simply removed the old controller and installed the enclosure and smart controller in its place. The holes didn't line up, so I had to forcefully screw it into my siding. My home has six sprinkler zones, and I disconnected the wires for those zones from the older controller and plugged it into the new controller. The clips are very easy to use -- press down, insert wire, and release. It is similar to inserting speaker cables. Then, I simply plugged the Rachio into the AC outlet and was off to the races. It lit up to tell me it was ready to go. Rachio 3 is available with either eight or 16 zone options. Next was the beauty of the Rachio -- setting it up using my iPhone from the comfort of a chair. After scanning the barcode on the controller and connecting it to my home WiFi, I answered several questions about my lawn and sprinkler types. I then created a watering schedule -- it would normally run during the early morning while I slept. I chose this time because the sprinklers impact the house's overall water pressure. The only confusing part was having to pick my grass type. I suppose I was ignorant on the subject, but I though grass was grass -- I was quite wrong! Thanks to Google, I was able to figure this out. This is important, as the Rachio uses this information, in part, to determine how long to water. I initially chose the wrong thing, so my watering duration was too short. After redoing the process with the correct answers, I was good to go. 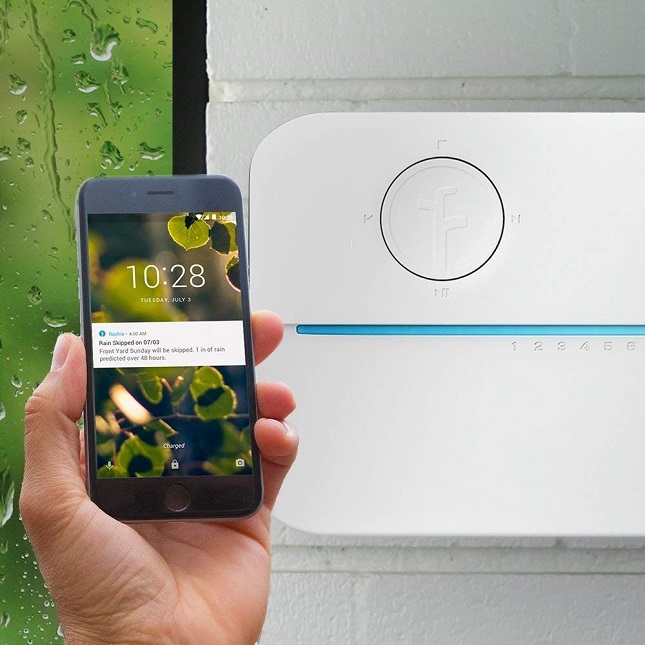 I opted to use the Rachio smart weather service with the "Flex Daily" plan, which enables it to skip watering based on the weather forecast. It can adjust my schedule on a daily basis -- very cool. In theory, this will save money, as the sprinklers wont run when it rains. If you would instead like to water your lawn every day at an exact time regardless of weather, you can do that too. With that said, you would be missing out on the smartest aspect of the controller. Of course, if you want to run it manually, you can do so at any time. This includes with Alexa (or Google Assistant) -- I can simply tell my Amazon Echo to water my lawn, and like magic, it does! This can come in handy for getting pesky children off your front lawn too (I kid, I kid...). With the app (iOS and Android), you can manually run it remotely too. In other words, you could be at work and turn on your sprinklers at home. There is also a web interface, so you can use a web browser to control it. 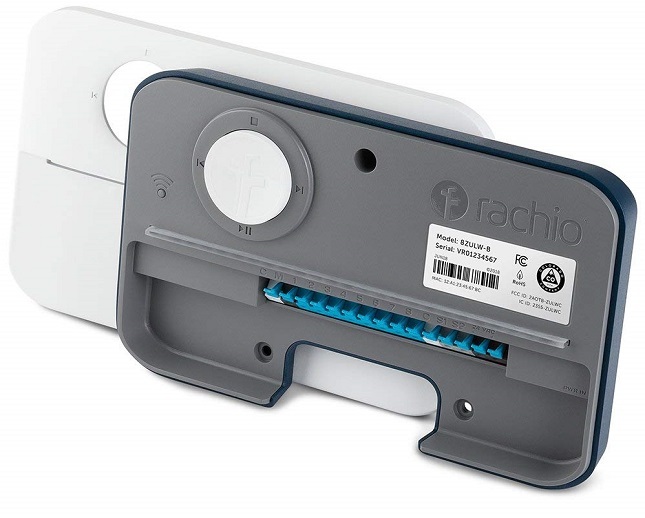 So far, my experience with the Rachio Generation 3 has been overwhelmingly positive, although I did encounter one issue. For whatever reason, my neighborhood had an extended power outage. When the power was restored, my modem, router, and Rachio booted up simultaneously. It seems Rachio tries to connect to the router immediately, and if it fails, it stops trying. Because of the power outage, the router wasn't yet available, so the Rachio stayed disconnected until I rebooted it by unplugging and re-plugging in the AC adapter. Not the end of the world, but an annoyance -- especially when you aren't home to physically access it. Since then, the connection has been rock solid. I am confident a firmware update can fix this. It is worth noting that even without an internet connection, the Rachio can still operate. You can use the on-device controls to manual water zones if need be. I tested this and it works well, but I've never needed to. It's cool that it’s available, though. Ultimately, I highly recommend the Rachio Generation 3 to any homeowner with an in-ground sprinkler system. 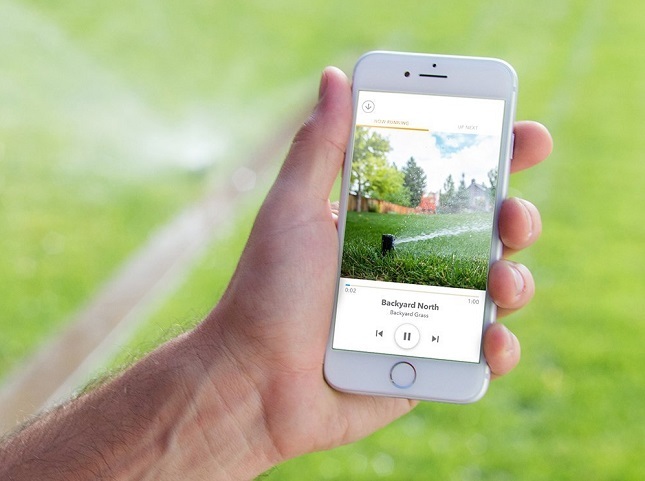 Even if there is nothing wrong with your current "dumb" sprinkler controller, the potential cost savings and positive environmental aspects (water conservation) make it a worthwhile investment. If you live in an area with year-round hot weather, the cost savings will be even greater, making it a "no-brainer." Not to mention, it is just plain fun to use! Rachio 3 is available with either eight or 16 zone options, and you can buy both from Amazon here. The former is $229.99, while the latter is $279.99 -- you should choose the one that meets your needs. Remember, if your controller will be outside, you must also buy the enclosure which is just $29.99.